Coffee Tasting Is a Full-Time Job. Seriously. We drink a lot of coffee here at Boxed (yep, we even like our caffeine buzz in bulk). So you can imagine how excited we are that our private brand, Prince & Spring, just launched their own line of organic, fair trade coffee. We could drink it all day like it was our job… but then we found someone whose ACTUAL job it is to drink coffee all day. We sat down with Q Grader Emily (think of a Q Grader as a Master Sommelier of the coffee world) to talk about how she landed our dream job, what she looks for when she tastes coffee, and just what, exactly, all those fancy coffee terms mean. 1. What is a “Q Grader,” anyway? A Q grader is a person who has passed a series of internationally standardized tests about evaluating coffee. While our industry also contains many incredible, skilled and knowledgeable experts without this certification, it has become a means of globally standardizing quality for coffee. A Q grader has to pass 26 tests in a span of two days, covering everything from coffee defects and grading to organic acids and roast defects. 2. That sounds like a lot of studying. How do you train to become a Q Grader? I tasted a lot of coffee. Building sensory skills requires a lot of thoughtful and analytic tasting over many years. We develop strong memories that help us to identify each particular flavor or aroma we may encounter. In preparation for taking the tests, many people go on a bland diet and avoid anything sweet, salty, or spicy for a few weeks. Two days of testing is like a marathon for your palette. By the end, it’s hard to taste anything. 3. What do Q Graders look for when tasting coffee? We evaluate the aroma, acidity, body, cleanliness, and flavor of each coffee when it arrives as well as after it is roasted. Overall, we are looking for complexity and balance. The ability to describe what we are sensing is often tied to memories. When we say something has a “round, orange acidity” it may be because it reminds us of the flavor and sensation of eating a fresh orange. Notes of “dark chocolate” may remind a person of fudgy, dark brownies. In general, the more memories and descriptors we are flooded with when tasting a coffee, the better. In the end, we want a coffee that tastes amazing. We are always looking for a coffee that rekindles warm memories while creating new memories. 4. Take us through what you do on a typical day. A typical day starts off by brewing a sample of everything that was roasted the day before. I make sure that each coffee tastes the way it should and go over our roasting records to look for any irregularities. Next, I go out to the warehouse and inspect the coffee that is being received. I gather samples from each coffee and take them to the Quality Lab, where I roast samples for testing. Each coffee goes through a battery of tests before it is given final approval to be roasted. 5. We’re jealous! What’s the best part of your job? Sample roasting. Sample roasting is always a beautiful time of solitude when you are just focused on the beans themselves. Watching each roast develop and turn that beautiful shade of brown is mesmerizing. It involves all of your senses. You listen to the coffee crack and smell the smoke coming out of the roaster. It’s the most calming part of my day. 6. The weirdest or worst part of your job? When I run out of a favorite coffee. Frequently, really beautiful and amazing coffees pass my way. We always buy great coffees to roast, but sometimes, a coffee comes through that is better than we could have even imagined. I always sneak away an extra sample to roast for my own enjoyment. When it is gone, it is so sad to know I will need to wait until the next harvest to find that magic gem again. 7. What does “Fair Trade” coffee mean? Fair Trade is a pricing certification guaranteeing that the price paid for a commodity meets a minimum standard. Fair Trade coffee criteria include fair and transparent prices for farmers, decent working and living conditions for workers, and free association of workers and co-ops with structures for democratic decision-making, access to capital, and the encouragement of sustainable agricultural practices. 8. What does it mean to be USDA certified organic? USDA Organic certification is a term that requires the production and processing of a food item to meet rigorous environmental and agricultural criteria. Organic certified coffee means coffee that was produced in healthy soil, free from chemical additives that may be found in certain weed and pest controls, and produced with only approved organic fertilizers. Organic producers rely on natural substances and biologically-based farming methods as much as possible. Benefits of organic agricultural production include the absence of harmful chemicals in the products consumers ingest, as well as the guarantee of safer working conditions for the pickers and processors of these products. With organic certification, harmful chemical spraying at source, and contamination of other food items during processing are eliminated. 9. What’s the difference between Robusta and Arabica? Both Arabica and Robusta are species of the coffee plant that originated in Africa. Arabica originated in Ethiopia, where it still grows wild today. Robusta is believed to originate farther south in the Congo. Arabica produces a dense coffee bean that has an amazing balance of sweetness and acidity. Arabica is also known for an amazing complexity of flavors that can be found, including notes of chocolate, tropical fruits, bright citrus, and floral aromas. Robusta, on the other hand, produces a bean which is less balanced, more bitter (due to a higher level of caffeine) and noted to have flavors of wood and leather. Arabica is also harder to grow than Robusta. It likes the cool climates that are found at high elevations but can be susceptible to frost and disease. This means that Arabica is often found growing on steep mountainsides in countries such as Peru, Costa Rica or Colombia. Because it grows in these rugged regions, it has to be picked by hand. All of this contributes to Arabica costing more than Robusta. For me, there just isn’t any comparison. Once you get started drinking 100% Arabica coffee, you’ll never go back. There are flavors in the cup that just can’t be replicated. 10. 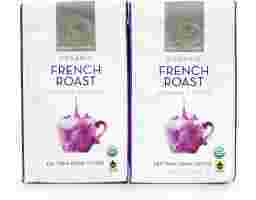 Prince & Spring currently makes three varieties of coffee — Colombian Roast, French Roast, and Breakfast Blend. Can you take us through the difference between them? 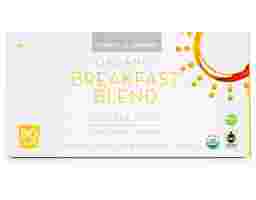 Breakfast Blend is a light roast blend of coffee from Central and South America. These coffees are grown on steep mountainsides and hand-picked. The blend of coffees creates a smooth cup that I would describe as nutty with a citrus acidity. 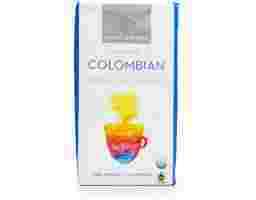 The Colombian is a single origin coffee from the mountains of Colombia. To me, this coffee has subtle notes of dark chocolate and red berries. We’ve roasted it light to maintain the flavors that represent the terroir of Colombia. 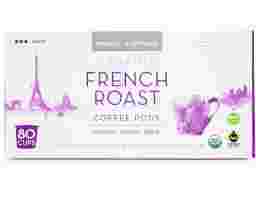 The French Roast is, again, a blend of coffee from Central and South America. We’ve used high quality coffees grown at high altitudes so that they can hold up to a longer, darker roast. This coffee really exemplifies our skill as roasters. I find the coffee to be dark and bold, with a subtle smoke finish. 11. We have to ask: How do you take YOUR coffee? Black! I really enjoy a lighter roasted coffee on a pour-over style brewing method (as opposed to a French press). To be perfectly honest, I have been digging on the Prince & Spring Breakfast Blend at home. It’s nutty and mild, with just a bit of acidity.